This article, a collaboration with Teem, a Conference Room Scheduling Software & Workplace Analytics Platform, originally appeared on the the Teem Blog in September of 2016. So what is the right type of workplace? Although there’s no one-size-fits-all solution, the commercial design community is seeing a trend toward an ever-pressing need to create future workplaces that provide the ultimate employee experience. 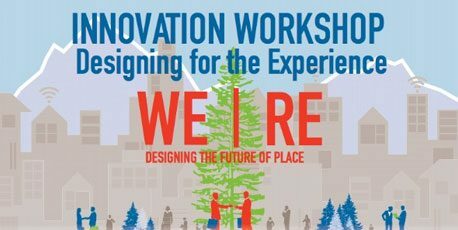 “Designing for experience” was the topic of a recent innovation workshop between workplace designers, real estate execs, facility management professionals, architects, consultants and HR/leadership experts. We asked her to boil down the two-day conversation and give us the scoop on where workplace designers will be focusing in the future. Here’s what she shared with us. Offices once had bulky desktop computers and hundreds of wires. Now we have mobile devices and 60-inch flatscreens. Future office spaces need to be designed with an emphasis on including various forms of technology that are easy to use and reliable, like cloud-based collaboration and videoconferencing tools to connect remote workers, according to Allyson. Workspaces need to be flexible in shape, function and furniture. Companies will want to include different moveable components, like adjustable desks, so employees can choose to sit or stand as they work, as well as spaces that can easily transform from a lunch room to a conference room to a space for holiday parties thanks to extendable tables and walls that descend from the ceiling. Interior design components that are functional and flexible can be used and reused for different employees, teams and tasks. This approach helps businesses be ready to adapt to changing workplace trends and fluctuations in their own employees’ needs and headcount. Providing the ultimate employee experience means you have to design your office for the people who work there. And people sometimes need private, distraction-free places to get their heads-down work done – places that are in short supply in many of today’s open office plans. So commercial designers (and employee-centric businesses) are thinking about how to give employees the flexibility to move to a quiet space when quiet time is needed or work in whatever space is best for them or their current task. Nearly every employee needs privacy at some point during their workweek, whether it’s to improve concentration or to control the information they’re sharing with their team, which is why restorative spaces are a must-have in future workplaces. Seems like solid advice to us.